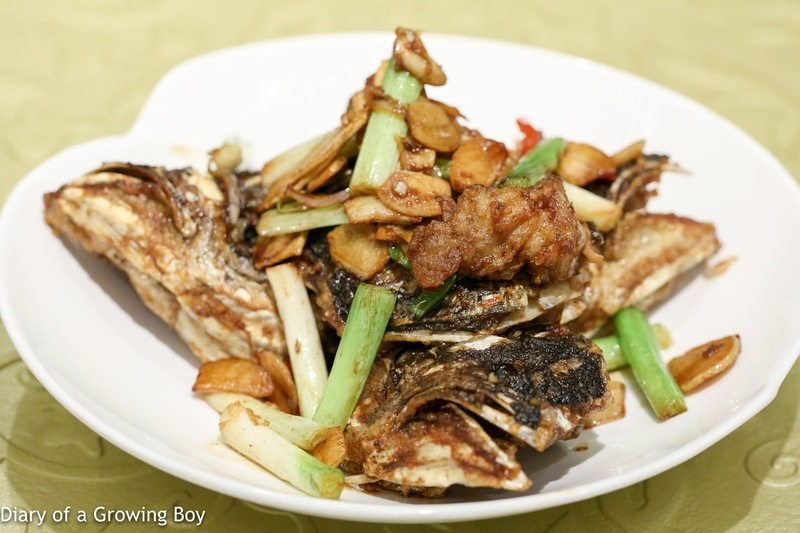 Pan-fried fish head with garlic and soya sauce (家鄉生煎魚咀) - I ordered this for dad and didn't expect many others to want to eat this. How wrong I was! Not bad, actually... and I think dad was pretty happy sucking out the goodies. 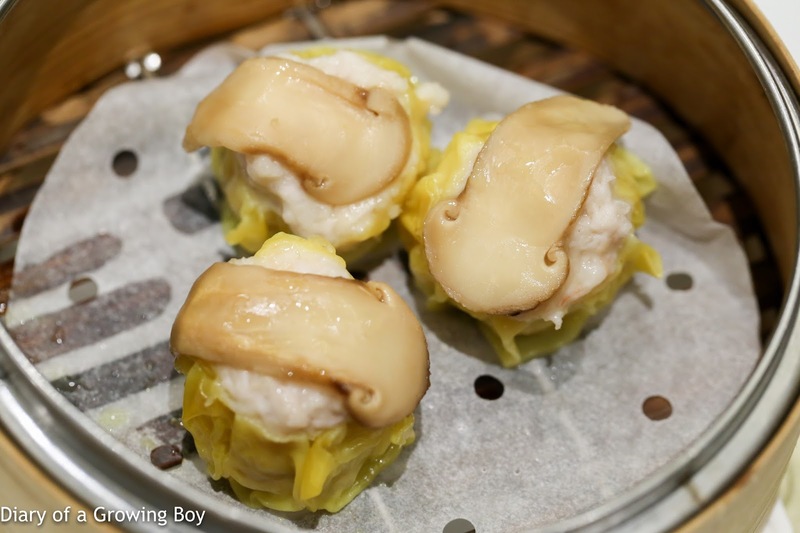 Shrimp dumplings with fungus (羊肚耳香茜餃) - pretty tasty with Chinese celery, morels, and crunchy wood ear. 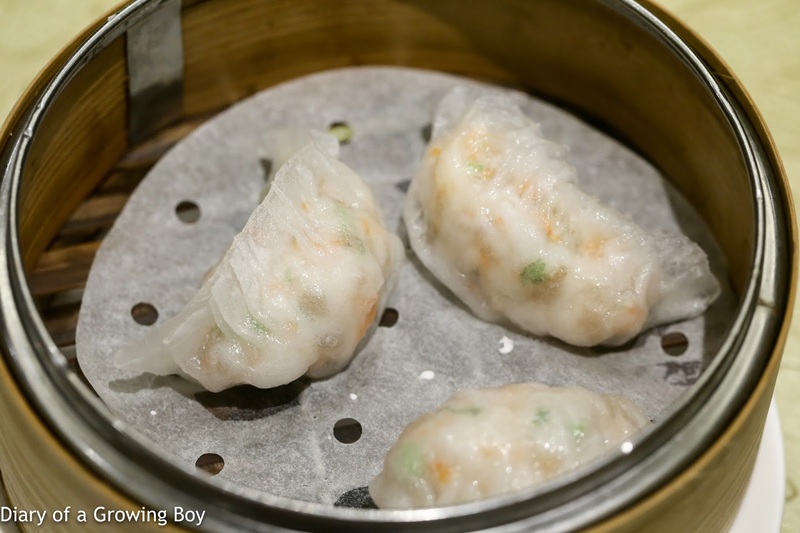 Shrimp dumplings 'har gau" (海景蝦餃皇) - in comparison, this seemed unremarkable... and I could taste the MSG. Baked barbecued pork buns (香焗叉燒餐包) - very, very good. 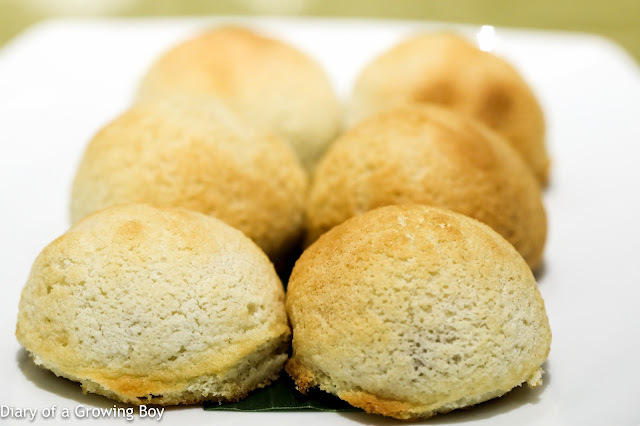 The Parental Units have been away from Hong Kong for about a decade, and this was the first time for them to taste char siu bao (叉燒包) done with a "Mexican bun (墨西哥包)". 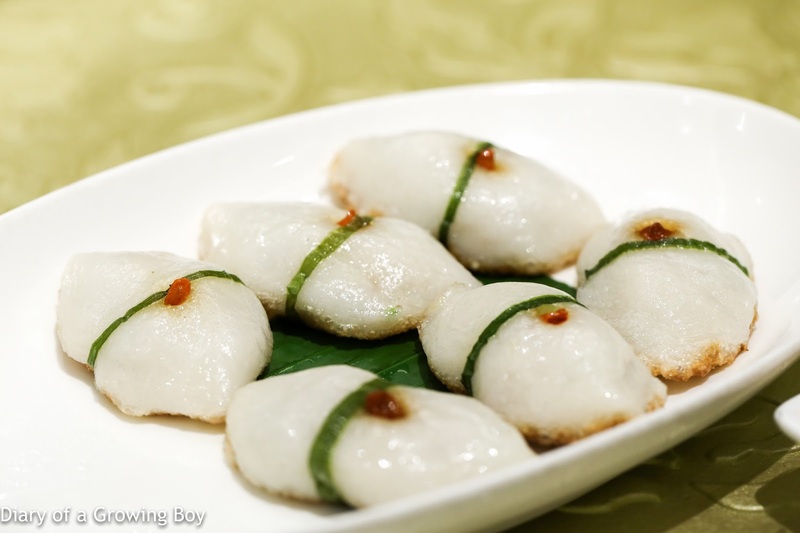 Glutinous rice dumplings filled with peanuts and chicken (狀元茶粿) - didn't really taste much peanuts, just minced meat and crunchy pickled radish. 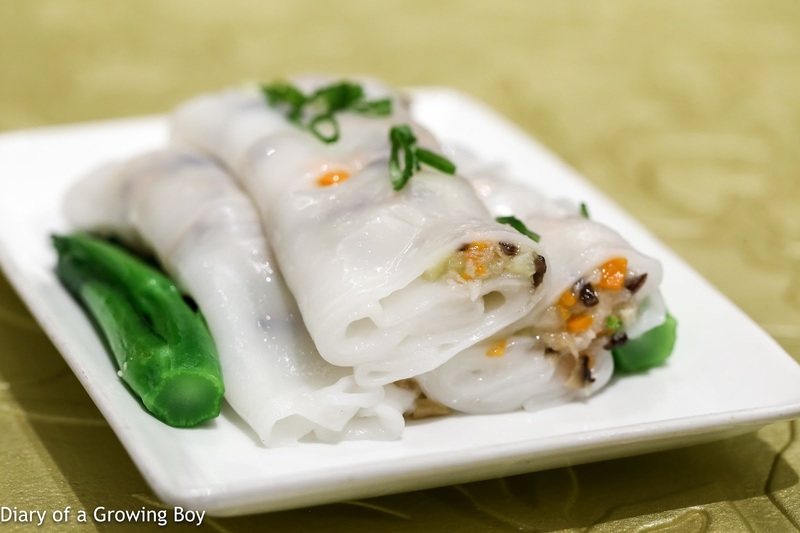 Pan-fried rice flour rolls with X.O sauce and bean sprouts (X.O醬銀芽煎腸粉) - this was alright. 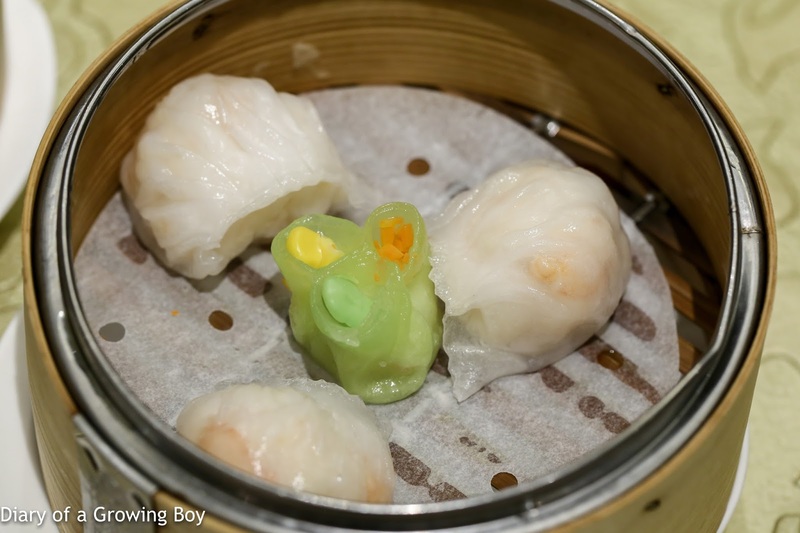 Pork dumplings with matsutake (松茸菌燒賣) - the siu mai (燒賣) wasn't much to write home about, and I definitely had lowered my expectations regarding the limp slice of matsutake (松茸) on top. 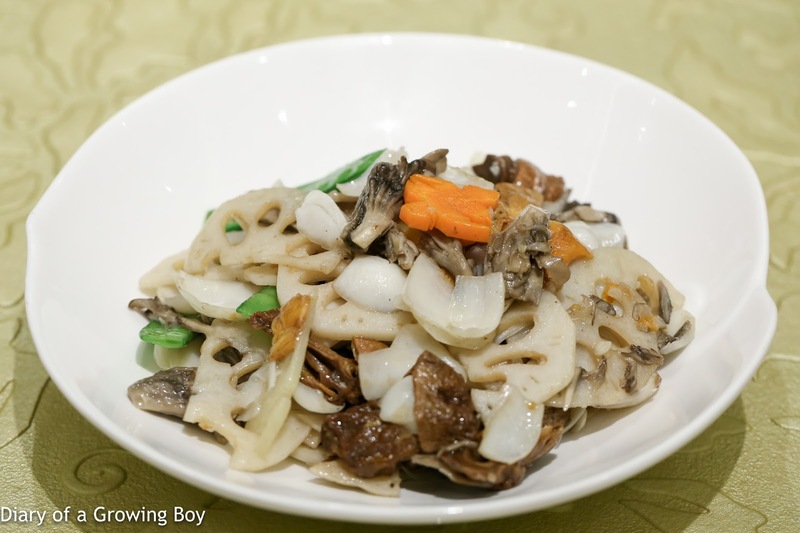 Wok-fried assorted mushroom with lotus root and lily bulb (蓮藕百合炒菇菌) - this was always gonna be a hit with mom, and it turns out there were other fans, too. Together with the crunchy lily bulb, carrots, lotus roots, and sugar snaps were maitake (舞茸), oyster mushrooms, and straw mushrooms - all in a ginger sauce. Crispy chicken with black truffle and black fungus (黑松露脆皮雞) - this, too, was a surprise. 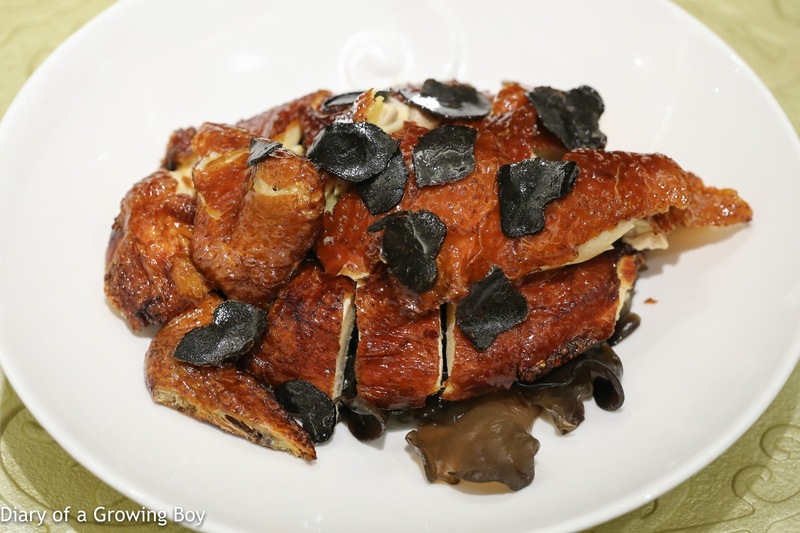 The slices of black truffle were OK, and I expected them to lose their fragrance after cooking. But the chicken was really, really good. The skin was crispy as advertised, the meat was tender and moist, and I didn't find it too salty the way I find Lung King Heen (龍景軒)'s chicken. Even Hello Kitty - who normally stays away from tasteless chickens - thought this was good. The crunchy wood ear at the bottom was nice, too. 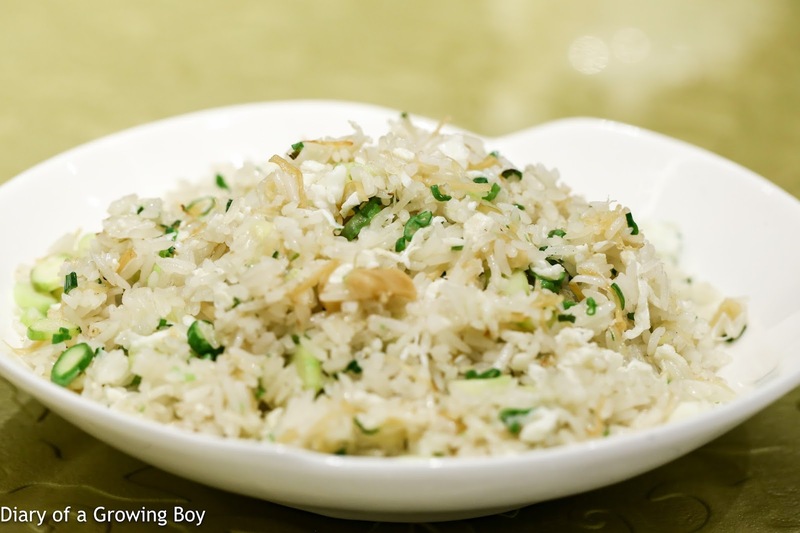 Fried rice with egg whiter and conpoy (瑤柱蛋白炒飯) - nicely done at high heat. Sweetened peanut and wheat cream (花生麥米粥) - I'd never had this dessert before, so I decided to order up a bowl and try it out. The soup base was pretty clear and not too sweet, with peanuts which were a lot more crunchy than I had expected - they weren't mushy at all. 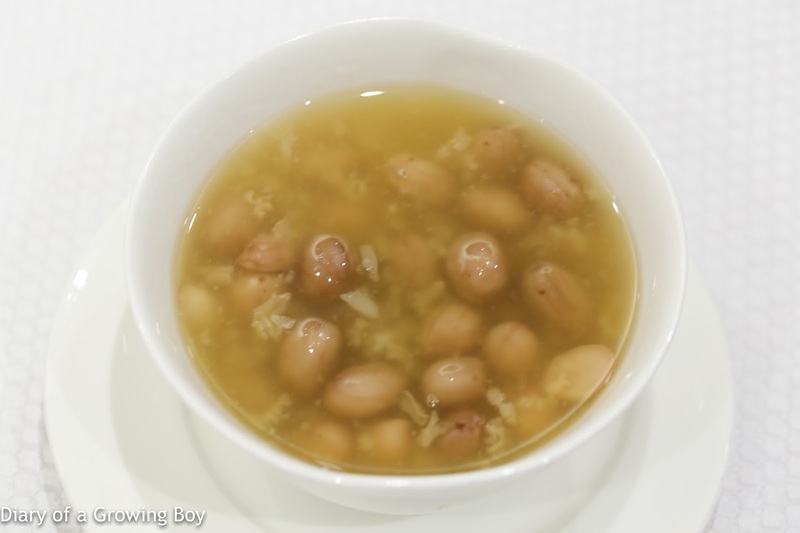 The glutinous rice grains had been boiled until they were falling apart, while the millet groats (麥米) also provided a crunchy texture. Overall, though, this isn't something I'm a fan of. This was a long and relaxing lunch, and a pretty good start to our own version of Meet the Fockers.